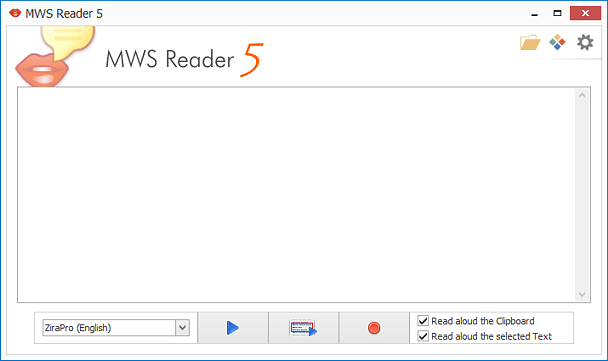 MWS Reader 5 is now even easier to use, e. g. simply record and playback text just as you would with a voice recorder. Even when minimized, MWS Reader 5 can be controlled directly from the taskbar. In addition, the read aloud progress is displayed as it is being read for you. MWS Reader 5 can be personalized to the needs of the user. 24 skins (including design with high contrast) are available. The user interface of MWS Reader 5 can be zoomed up to 150% making usage even easier.